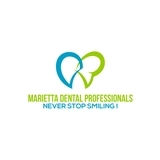 Marietta Dental Professionals (Marietta) - Book Appointment Online! Our commitment to providing effective and affordable dental care for our patients is matched only by the warm and welcoming attitude we bring to work. We treat the dental needs of patients of all ages, and our professional staff prides itself in its ability to provide only the best dental care available. We take a simple approach to dental care: we work extremely hard to build lasting and enjoyable relationships with each of our patients. We have been doing so for many years and look to build upon that tradition in the coming years. A visit to Marietta Dental Professionals is sure to put a smile — and a clean one at that — on your face! Everybody in Dr. Patel's office was cheerful, friendly, knowledgeable, skillful, and efficient. I found this office by chance online, but I'll certainly be going back.